Code Blocks Free Download 2016 Edition latest version 16.01 for Windows 32/64 bit. Get Code Blocks offline setup, standalone installer. Code Blocks is a popular free and open-source integrated development enviroment with support for many free compilers. This application is available for multiple platforms like Windows, Linux, Mac OS and a few others. The user interface is stacked with tools and editing options. The Menu allows creation of new projects, open a existing one or save a project. You will find many tool bars, each one is dedicated to a certain part of the application. The Debugger tool bar is used to run the curent project and display the found bugs. Because Code::Blocks has many compilers, you also have a Compiler tool bar. Here you can build and run your projects. Starting a project is easy and fast because you can use certain templates designed for many different purposes. Another way to speed up your work is to create a custom template which helds your own compiler optimization and settings. Multiple projects can be opened at the same time to allow information from one project to be used inside of other project. Also you can personalize your own Code::Blocks installation with custom settings for the editor, tool bars display and other cool things. Navigating through your files and projects can be done in multiple ways. You can either use the find file in your workspace or search through your project. All modifications of a file are stored and the yellow colour will be used for changes that haven’t been saved and green for saved changes. Also, you can navigate through these changes by using the Search tool. 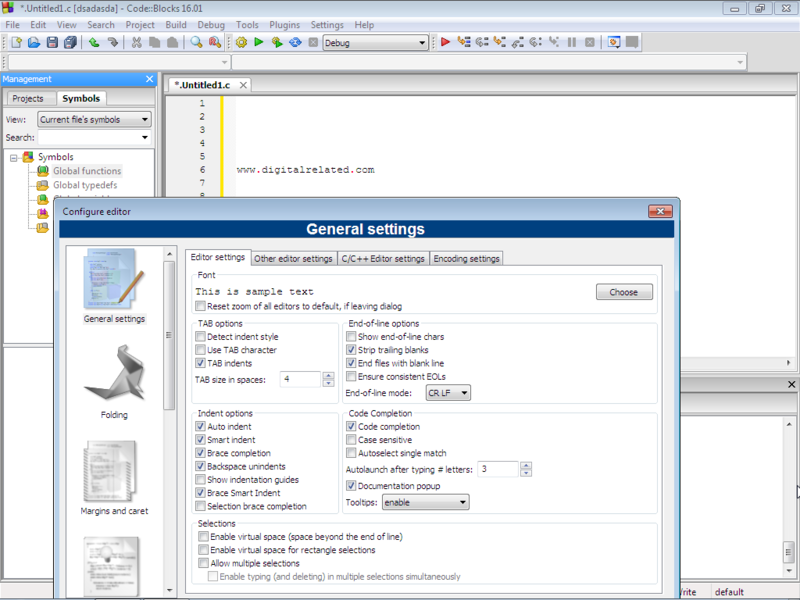 The editor is user friendly because it allows to change the text size and to wrap long lines to be edited more easily. It also has a code fold feature. This means that you can hide code by selecting a certain part and fold it. 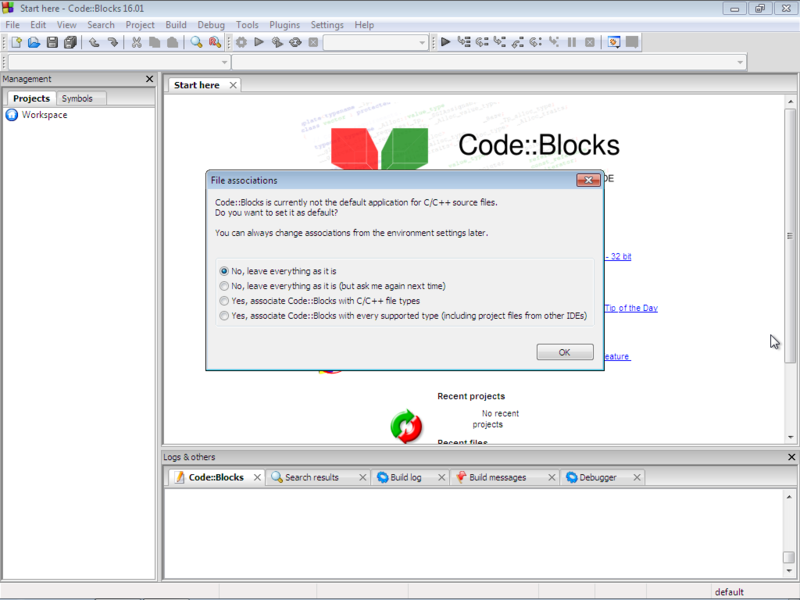 In conclusion, Code::Blocks is a great free IDE which offers many tools and compilers to create applications. If you’re a website developer take a look at Adobe Dreamweaver CS6. 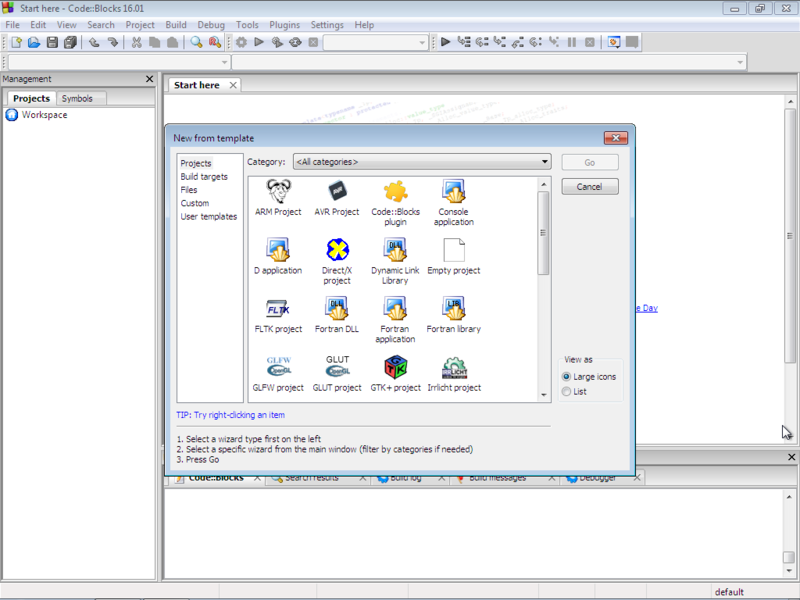 We also have another IDE rich in tools and features available for download, NetBeans IDE 8.1. Free, open-source and easy to use. Multiple compilers: Borland C++, Microsoft Visual C++, GCC, MinGW and many others. Graphical User Interface designer: create clean user interface for your applications. Powerful Code editor rich in tools. Included plugins like Autosave, Debugger, Code Completion and many others which can be downloaded. Click the link below to start the Code Blocks Free Download Latest Version 16.01. If you have any problems while downloading please leave a comment below. After the page opens remember to choose the “Download through your browser” option to start downloading Code Blocks Offline Installer, Standalone Setup.